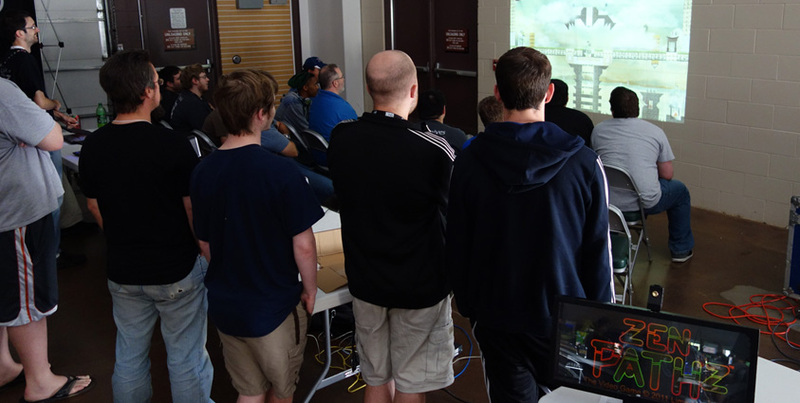 On NOVEMBER 15th, 2014 join Colorado Game Developers and others in the Colorado Video Game Community including Denver video game companies, Boulder video game companies, and more for the 2014 Denver Indie Game Expo. There are only a few spots left. Sign up asap if you would like to go HERE. See games for systems such as PC, XboxOne (Xbox1), SONY Playstation4 (Ps4), Nintendo Wii-U, mobile, or others. Try indie games like the zen video game (Zen Pathz), Denver virtual reality games or demos such as Denver Oculus Rift projects, DIVE games, Colorado Ouya projects, etc. Meet up with Colorado Independent Game Developers, Denver Video Game Artists, Colorado Video Game Musicians, Denver Android Developers, and more at this unique Colorado Indie Game Festival. Limn Interactive displayed new projects and games under development at most of the big Colorado eSports, Denver video game tournaments, and Denver lan party events in 2014 including GAMEFEST, Denver LanFEST, Denver Comic Con, and others. We also demoed at some great events out of state including QUAKECON 2014 where John Romero enjoyed our latest build of Zen Pathz. 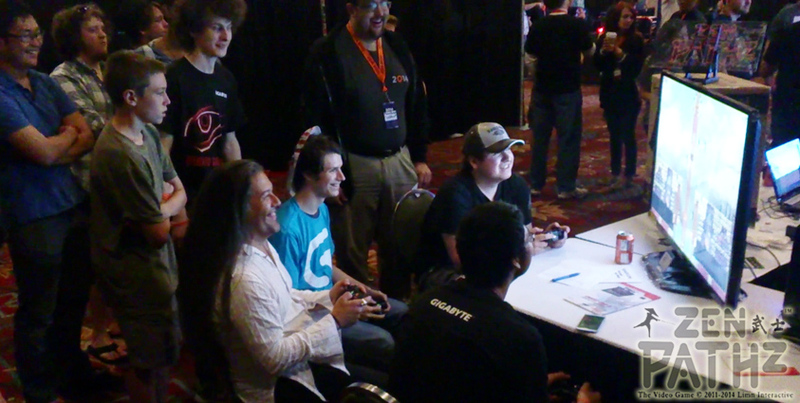 John Romero schools next-gen gamers in latest build of Zen Pathz at QuakeCon 2014. See more videos HERE and photos HERE. You can also now follow us on Twitter and Facebook or join our Email List.